Professional artificial grass football pitches are constructed in accordance with the standards. Astro turf football pitches made from special yarns brought from Europe is a good option for the those who look for a professional astro turf pitch. Generally they are designed as monofilament and fibril floors. Standard astro pitch is constructed in 4 main stages. The works start with infrastructure works, then continue with iron and wire mesh works and finally, it is completed with the installation of astro turf. Infrastructure works start with leveling of the ground. The ground is excavated for the concrete beams according to the leveling data and concrete is poured on beams in 25 cm width made of construction iron bars of ∅12 and stirrup with ∅8. And also perforated drainage pipes are installed on the ground. 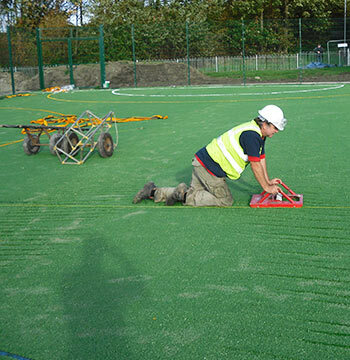 Usually fibril or monofilament astro turf with pile length of 55 mm – 60 mm is used in the installation of astro turf pitches. The stirrup concrete is filled with no. 3 gravel on the lower layer and no. 1-2 gravel on the upper layer. Geotextile mat is laid on it. Then astro turf is installed on the mat. White lines on the astro turf are cut and glued. After filling with silica sand, SBR or EPDM granule is applied. What is the Cost of Artificial Grass Football Pitch? 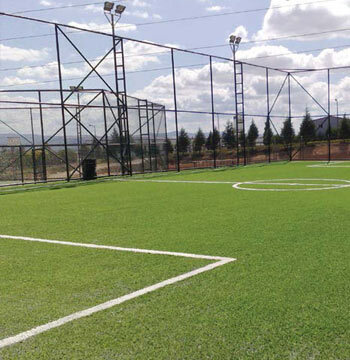 Professional artificial grass football pitches can be constructed in various sizes with single color or dual color. The size of this football pitch is 60m by 55m. Especially the astro pitches meeting the certified FIFA standards are constructed in accordance with the FIFA Star 1 and FIFA Star 2 criteria. Prepared under certain FIFA inspections, the astro turf football pitches are installed in accordance with standards by a professional system. And also, the granules in different colors such as gray and green are poured on the artificial turf and thus high quality is achieved by using these granules. Professional astro pitches which are required to be constructed in accordance with certain quality standards have a rectangular shape. Here, pitch measurements and floor are of utmost importance. Usually, the length of the goal line which is the width of the pitch may range between 45 and 90m at an astro turf pitch. The touch line which is the long edge of the pitch is prepared in a size of ranging between 90 and 120 meters. The dimensions of the football pitches, which are prepared in accordance with the European standards and special certificate inspections, must be compliant with these figures. Astro turfs prepared in various quality standards are designed with various conditions such as thickness, pile length, or vertebrate. 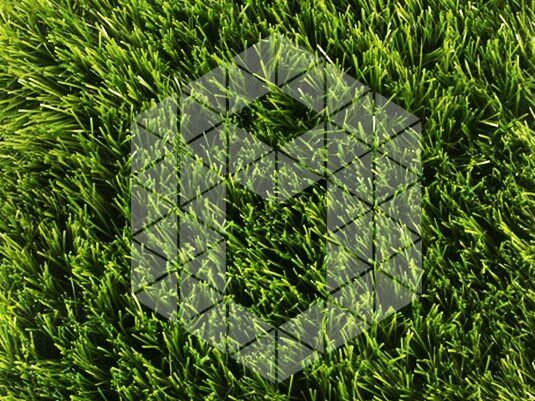 Get the price of football pitch construction and installation of artificial turf sports flooring types.